Each Major Key Signature is shared with the Relative Minor. 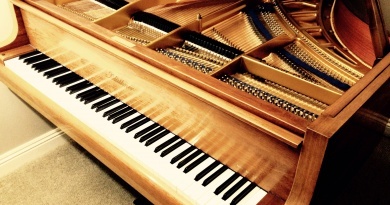 Major keys and Minor keys are said to be related when they have the same key signature. A minor is the relative of C Major. They share the same Key Signature (no sharps or flats). The G# (raised 7th) is not included in the Key Signature. This is because there are forms of the minor scale that drop the extra semitone when the scale descends. 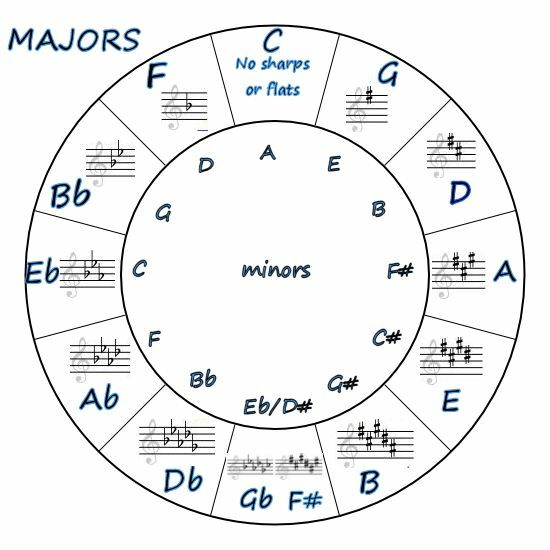 Now you can continue inputting the other minor Keys into the Circle of Fifths from A at 12 o’clock. As you can see, it is easy to work out the Relative Minor. Just count down 3 semitones. And to figure out the Relative Major of any minor key? Just count up 3 semitones. Or keep your Circle of Fifths chart handy! Now you have a completed Circle of Fifths, you can use it to compose or improvise music. It is especially handy for working out chords if you are a guitarist or a keyboardist. Chord progressions often move in fifths. When you use modulation in your music, it is common practice to modulate to the fifth. If you look at the Key Signatures again, you can see how to perform a modulation. 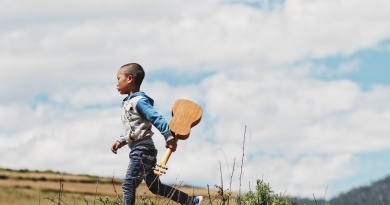 From C Major to G Major, the only difference is the F#. Raising the 4th note of the scale in one key by a semitone leads us up to the first note of the new key. To modulate from C Major to G Major, raise F to F#. F# is the 7th note in the G Major scale (the leading note). To find out more about playing chords on a keyboard, you can follow this simple lesson from ChordMusic.net. The Circle of Fifths details all 12 Major keys in a clock with C Major at the top 12 o’clock position. Like a clock, we read the Circle of Fifths CLOCKWISE. You can find the 4ths ANTI-CLOCKWISE. The Circle of Fifths also details all 12 minor keys. 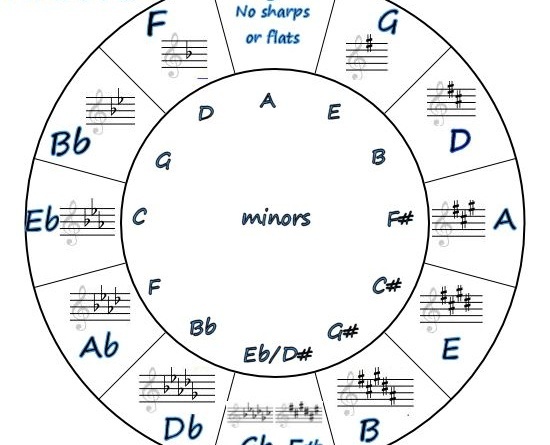 A detailed Circle of Fifths will show you the Key Signatures for each key too. Thanks Christina. 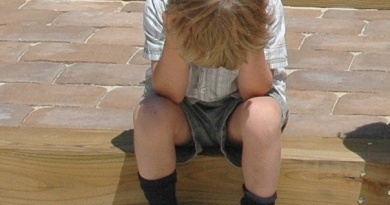 Enjoy your visit and please pop back again soon for more useful music articles.